When you want to connect any of your electronic devices like a cell phone or DVD equipment, using a bluetooth receiver will allow you to connect your devices wirelessly. The days of running cables and wires around the house are all but over. Wireless technology lets you set up your equipment and even link the equipment together for easier use. 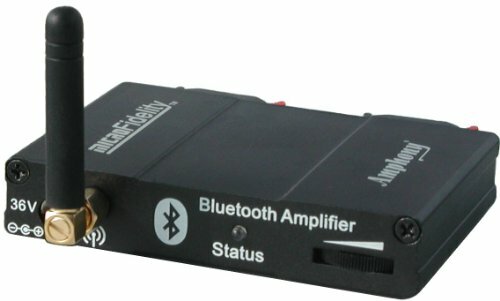 In order to link your bluetooth equipment, you need to have a bluetooth receiver that pulls the signal in to the device, allowing it to operate. Here are 10 of the best bluetooth receivers that can help you to connect your equipment without spending a lot of money. 8. CoolStream Duo Bluetooth Adapter / Bluetooth Receiver Works with iPhone 7, iPhone 6, Android phones and any other Bluetooth enabled devices. Compatible with Victory Motorcycle iPod cable. 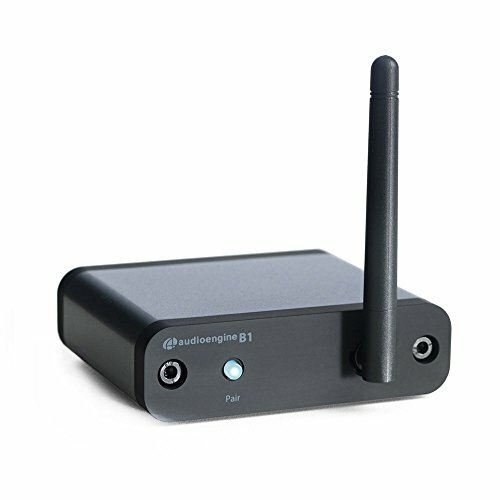 The Audioengine B1 features a precision-tuned antenna that gives you a wider range of access. The B1 is easy to set up and creates a great sound in music components as well as pairing your devices together. The Audioengine B1 is a very versatile component that works with many different devices and lets you position your electronic components where you want them, instead of having to be right next to the receiver. The Audioengine B1 gives you easy of use as well as a receiver that won’t break your budget. Link your bluetooth devices together easily with the Homespot BTADP receiver. The audio receiver is very compact and can store up to 8 paired devices in a single unit. The unit allows for a range of up to 66 feet and requires a line of sight for transmitting of the signal. The device uses a tap and connect or tap and pair system for easy set up. The receiver operates with a UL standard plug-in and includes an AC adapter. Get rid of the cords and set up your music system efficiently. Get a lot of power packed into a small device when you link your devices to the Bluetooth Amphony 300. No larger than a deck of cards, the Amphony 300 allows you to provide bluetooth signals up to a range of 100 feet. The unit includes both a receiver and an amplifier for better signal strength. The device is very easy to set up and comes with instructions for use. The Amphony 300 produces a clear audio sound in your stereo system and features a stylish and heavy duty case. Connect several of your devices at the same time when you use the Logitech Bluetooth Audio Adapter. Compatible with standard 3.5mm connections, the device is easy to set up and pairs to other devices with a single button. Able to connect with speakers and stereo systems up to 50 feet away and works with any PC speakers as a receiving unit. The Logitech device can be set up anywhere and gives you a more versatile system with its compact design. When you want an easy to use system that can fit anywhere, get the Logitech Bluetooth Audio Adapter. When you need a bluetooth system that can liven up your party and provide greater versatility, get the Brightech Brightplay Live. The device allows you to connect any non-Bluetooth speakers as well as home theater systems. The device has a connection range of 30 feet and lets you stream music from non-Bluetooth systems and other Bluetooth devices. 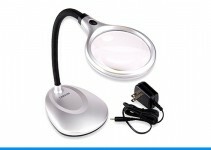 The device has a very compact design and works in any setting. 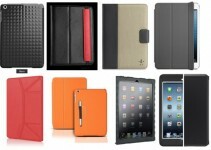 The system includes everything you need to set up the device and use it for parties or for personal use. The Brightech device comes with a 3-year satisfaction guarantee. Connect up to 8 different bluetooth devices with no installation software required when you get the Bose Bluetooth Audio Adpater. The device measures 2.4 x 2.4 inches and is 1 inch high. The system is compatible with any computer systems or home theater systems by Bose. With a transmission range of up to 30 feet, the device can provide the ability to set up your system wherever you need. 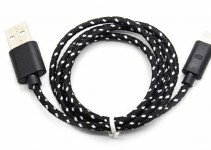 The device also allows connection to 3.5mm audio cables and optical cable systems. 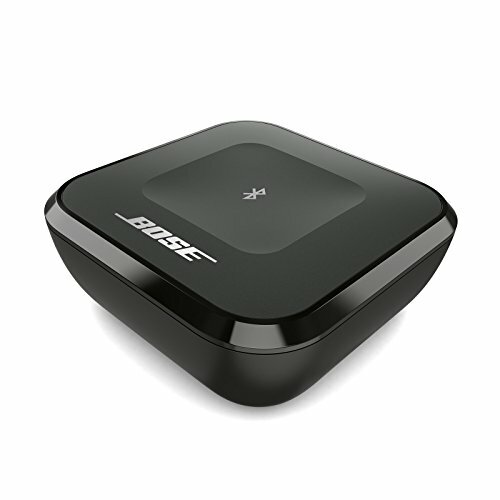 Get the Bose Bluetooth Audio Adapter for greater versatility. 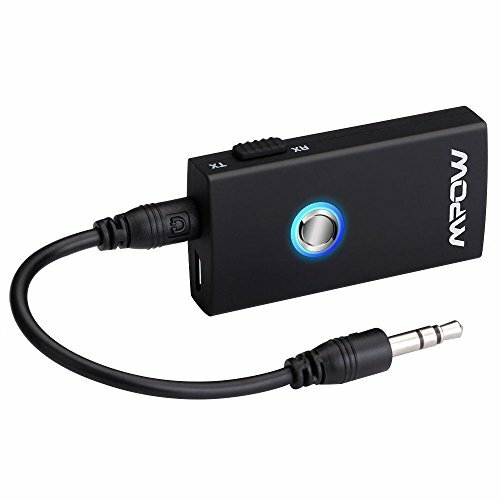 When you are looking for an easy bluetooth receiver system that fits anywhere and is inexpensive, get the Mpow Streambot device. 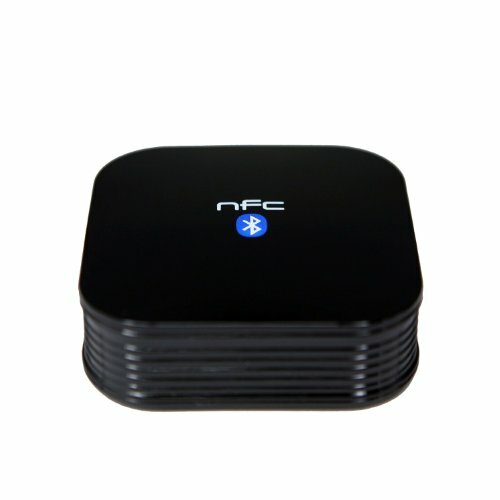 The device fits with a 3.5mm media device and can be used with anything from TV’s, e-readers, CD/DVD players and more. The device even lets you pair it with bluetooth headphones and MP3 players. The Mpow Streambot is just right for those who travel and can easily fit into your pocket. The device uses a one-button activation system for quick operation. 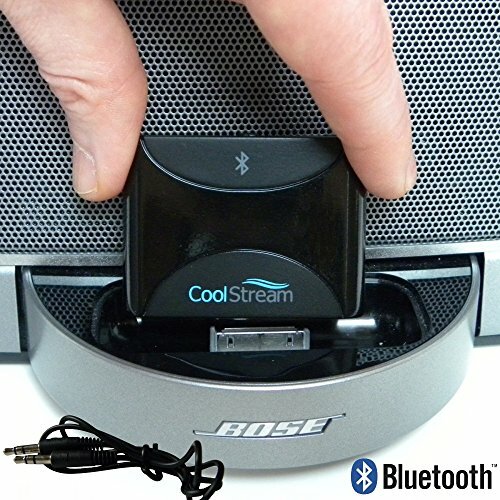 When you want a bluetooth receiver that gives you plenty of versatility in a compact design, get the CoolStream Duo receiver. The device works for most any major brand systems and includes a 30-pin charging and dock playback connector as well as a rechargeable battery. Whether you want to stream music to your iPhone or stream from other devices, the CoolStream Duo is easy to use and very portable. The Bluetooth Adapter lets you attach it to a music docking station for easy transfer of music and other entertainment programs. The device uses a Lithium Ion Battery. 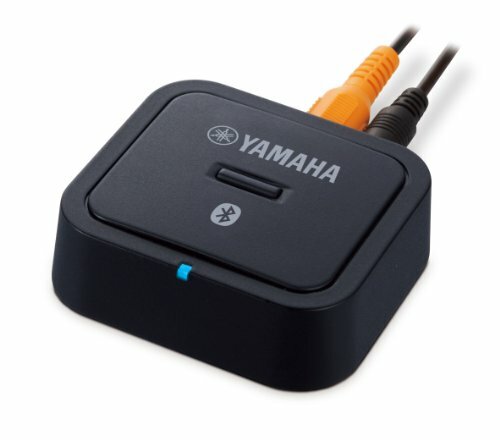 When you want a bluetooth receiver that gives you amazing HiFi sound while being compatible with many Bluetooth devices, get the Yamaha YBA-11 receiver. The receiver allows you to stream music from computers, tablets, smart phones and many other systems. The digital audio connectivity creates superior sound quality and allows you to store music on your device and listen anytime you want without a WiFi environment. The Yamaha YBA-11 measures 2-5/8″ × 7/8″ × 2-5/8“ and weighs no more than 1.4 oz. For a compact and powerful receiver, get the Yamaha YBA-11. 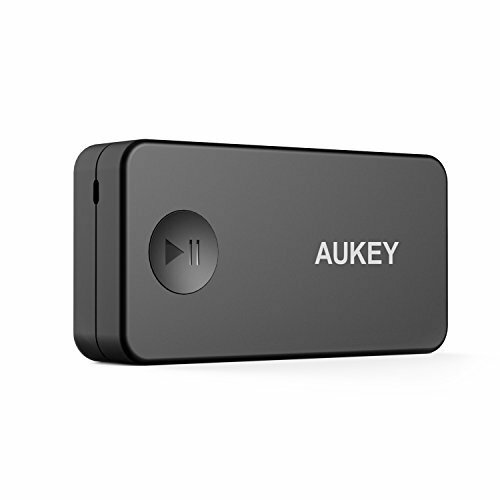 For a great bluetooth receiver device, get the Aukey Portable Bluetooth 3.0 Audio Receiver Wireless. The unit includes a 3.5mm stereo output that lets you use the device in your car as well as a built-in mic that allows for hands free use with your wireless bluetooth cell phone. The device can be used with any bluetooth device ranging from stereos and speakers to headphones and smartphones. The device will operate for up to 6 hours on a single charge and has a range of up to 33 feet away. Using a bluetooth receiver has a number of advantages over using a wireless system. 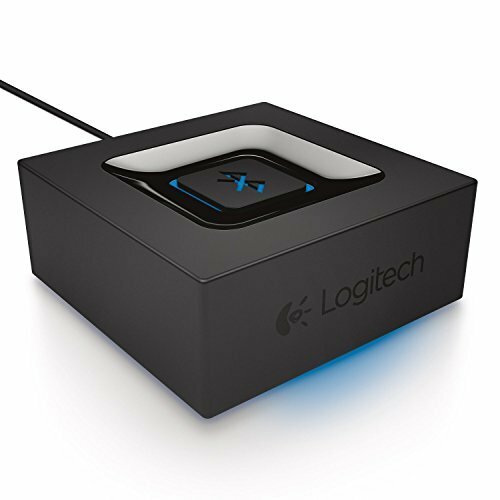 Not only does a bluetooth receiver give you more compatibility with other devices as well as being able to sync up with more systems. Most bluetooth devices have built in receivers, allowing you to carry the equipment without having to carry an additional unit. Bluetooth systems are becoming the more sought after wireless technology and many advancements are being made to enhance the bluetooth technology. When you are looking for a way to enhance your electronic devices and sound systems, getting a compatible bluetooth receiver will provide better features.